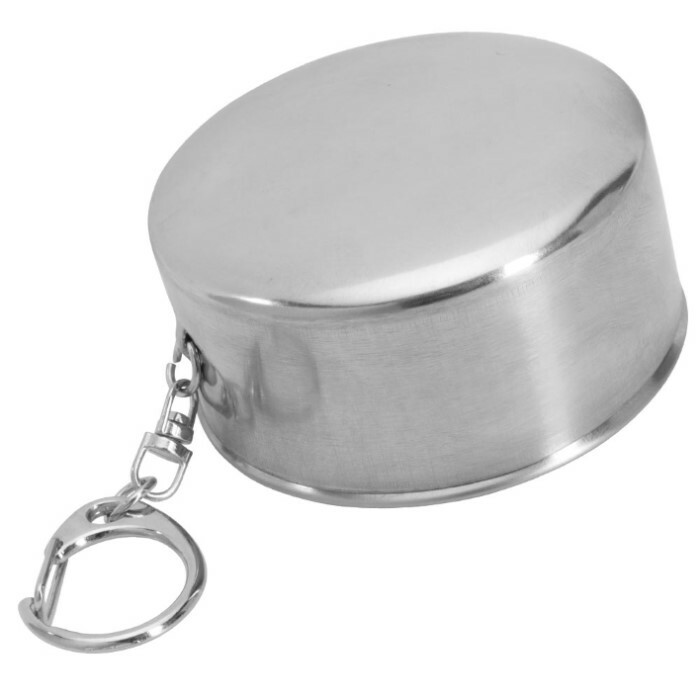 Trailblazer Stainless Steel Collapsible Cup - Two-Pack, Compact Design, Has Key Ring Attachment - 5 Oz | BUDK.com - Knives & Swords At The Lowest Prices! 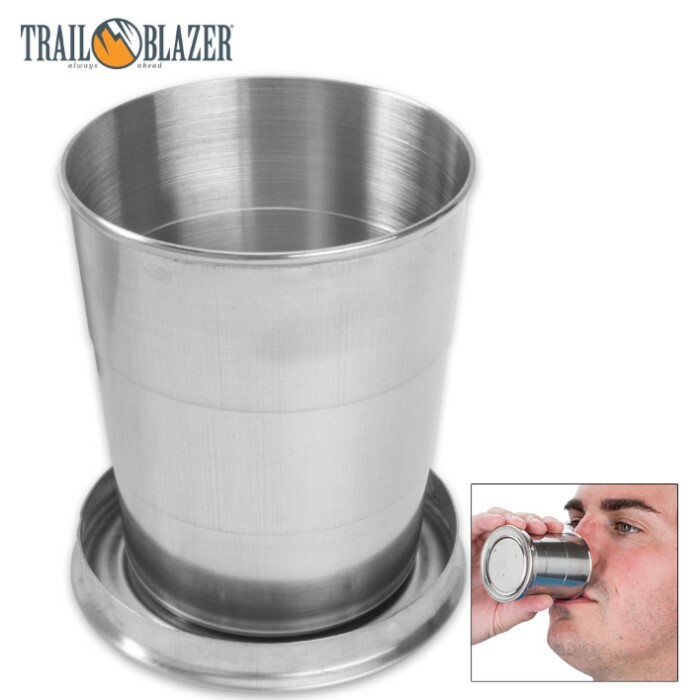 Having your own cup to drink out of when you’re traveling or on an outdoor adventure is definitely something you need to think about. It just makes it easier when you’re sharing a bottle of water with someone or any beverage. The Trailblazer Stainless Steel Collapsible Cup can go anywhere you go because its collapsible, compact design makes it easy to drop in your gear or luggage and the key ring attachment gives you the option of attaching it to anything. 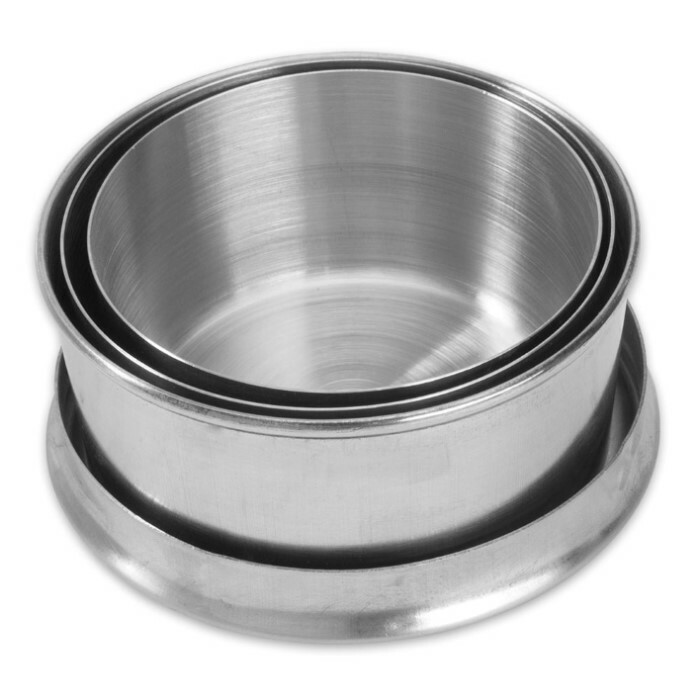 The cup is made of food-grade, rust-resistant stainless steel and has a five-ounce capacity. There are two of the collapsible cups in this pack - one for you and one for a friend!